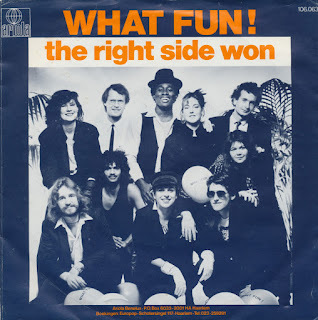 Music on vinyl: The right side won - What Fun! The right side won - What Fun! When I hear 'The right side won' I can't help but think back to the year 1983 when my life revolved around pirate radio stations and watching music videos on television. My school results suffered, of course, but that was no big problem - or so I thought. What Fun! was a pop/reggae group based in Haarlem, Netherlands. Within two years, the group grew rapidly in size to a total of ten members. 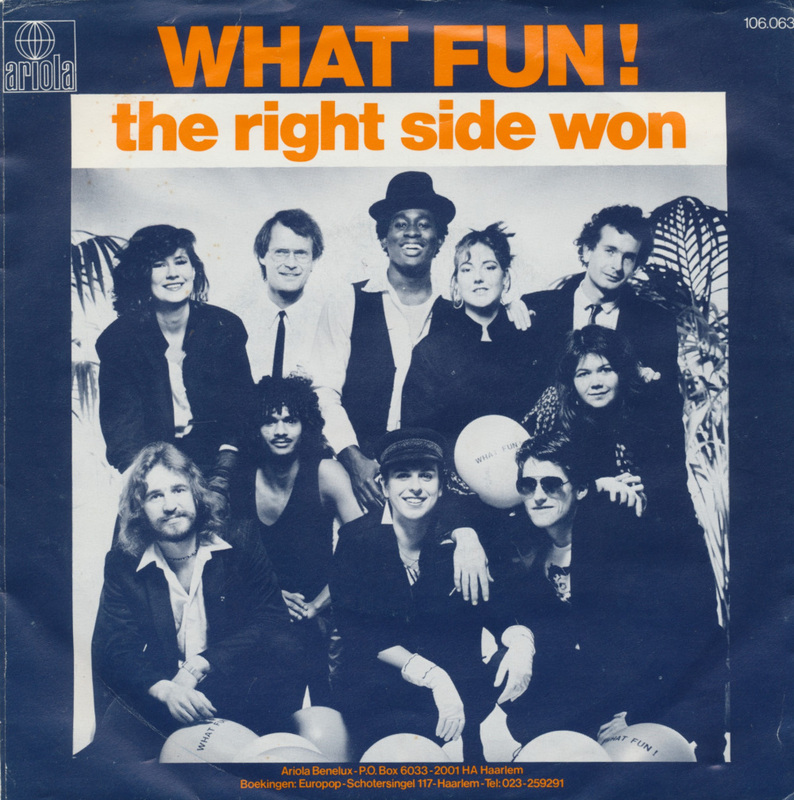 Their single 'The right side won' was the band's biggest hit, reaching number 3 in the Dutch Top 40. The song was inspired by the Falklands war. By 1989, after a few singles and albums, What Fun! had run out of steam and the members went their separate ways, only to reform again in 2005 with five of the original members and three new ones.